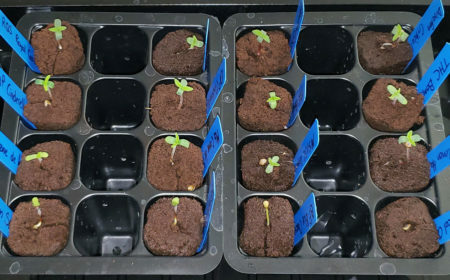 Ready to grow up to a pound of cannabis at home? All you need to do is follow the 8 simple steps of this growing tutorial and you will be able to copy the results you see below. The 315 LEC grow light is newly popular in the cannabis growing world. It uses “Ceramic Metal Halide” technology (which is why they’re sometimes called “CMH”), but a company called Sun System built an all-in-one kit specifically meant to utilize the LEC bulbs without needing an exhaust hookup or separate ballast. They created a grow light that can be used from seed to harvest so you can turn it on and forget about the light for the rest of your grow. 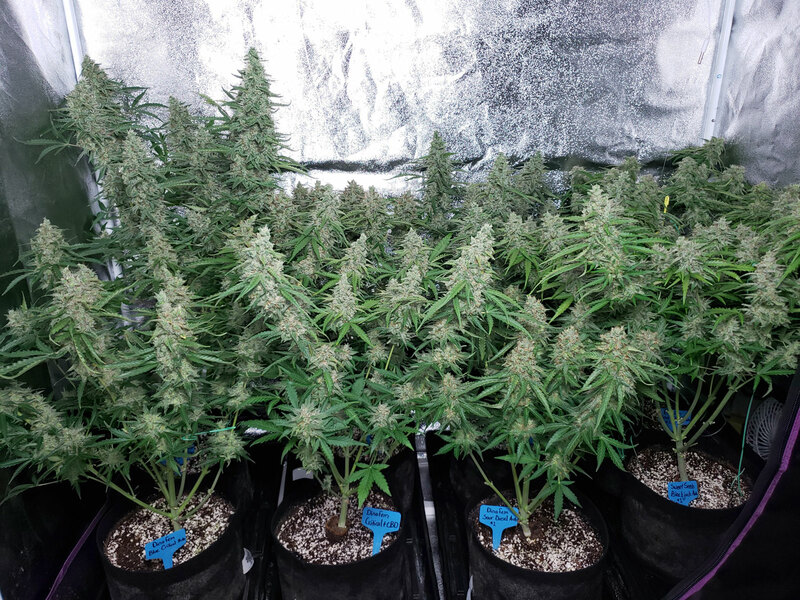 The vegetative growth is outstanding, and in the flowering stage, it produces buds that are sparkling and potent. Check out the pictures! 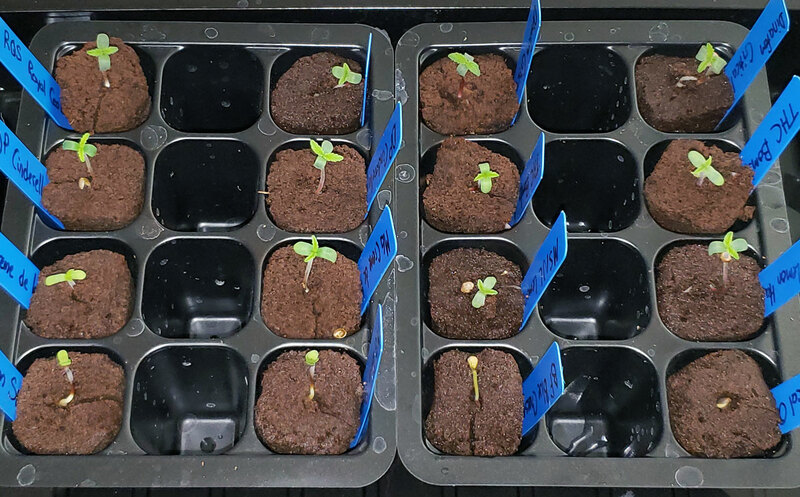 CMH grow lights produce extremely fast and healthy vegetative growth. These plants are only 29 days old. Anyone who has known me for a long time knows that I was extremely skeptical of LEC grow lights. In fact, I bought one almost to prove that they weren’t as good as the “golden standard” HPS grow lights. I was pretty blown away during my first LEC grow, and when I tried to go back to HPS for a comparison, all the problems I’d forgotten about became immediately obvious. 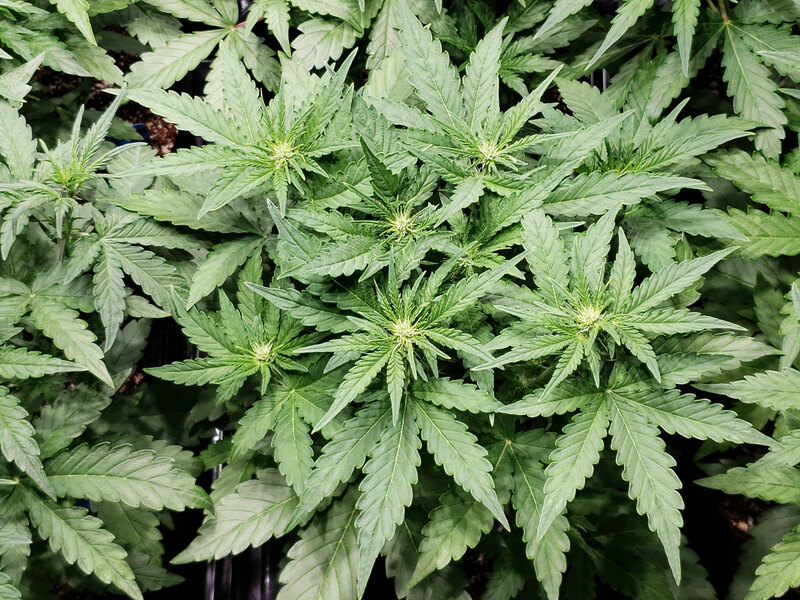 The heat, the need to hook up an exhaust directly to the hood, the harsh and suspicious yellow HPS light (which also makes it hard to see discoloration or other problems with your plants), and the fact that some HPS models produce RFI (Radio Frequency Interference can disrupt AM radios, potentially alerting someone to your grow). 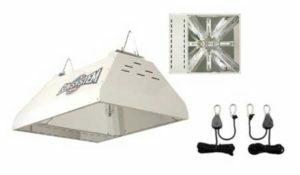 In fact, the 315 LEC grow light by Sun System was so successful at growing cannabis that a bunch of copycats and competitors appeared almost overnight. If you walk into a hydro store (at least in San Diego), these days nearly all the grow lights are different types of LECs. For years, HPS grow lights were the “golden standard” for growing cannabis. They have major benefits, but also some major problems. 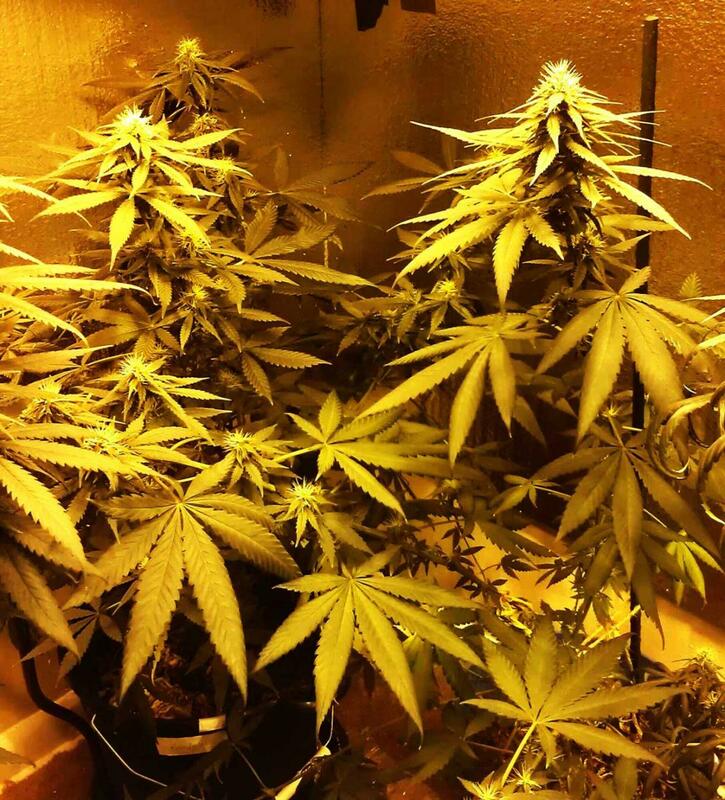 For example, the harsh yellow light makes it difficult to see your plants properly, so it’s easy to miss problems or deficiencies. Some models give off radio frequency interference. Plus, even a glint of that suspicious yellow light coming out a window may inform neighbors that someone is growing something indoors. LECs don’t have any of these problems. There are several versions of LEC or CMH grow lights available. The model I use and recommend is the 315 LEC Grow Light from Sun System with a “Vertical Bulb” orientation. I like this model because it can be kept 18-20″ away from the tops of your plants, vs some of the other CMH systems that need to be kept as far as 3 feet away from your plants. I use a 4100K colored bulb from seed to harvest. There is a 3100K color bulb available, but the only people I’ve heard who say it will make a significant difference are the people who sell them. The top-of-the-line bulb company, Hortilux, doesn’t even offer a 3100K colored version of their LEC/CMH bulbs. Some growers do think you’ll notice a difference by changing out the bulb so that it more closely matches the yellowish light of the Autumn sun, but until I see some evidence that it makes a significant difference, I think most growers would save money and time by sticking with the one bulb all the way through. But if you want to give your plants every possible advantage and don’t mind the cost, you might want to get the 3100k light for the budding stage. The easiest way to create a perfect growing environment on a small scale is to buy a grow tent. They’re cheap and will provide a waterproof place to grow your plants, have reflective walls, and make it easy to vent heat or give plants complete darkness. They give you sturdy bars to hang your grow lights from, and they also help prevent bugs, dust, and pet hair from getting to your plants. 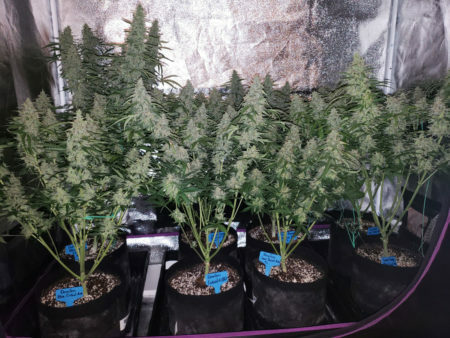 You don’t need a grow tent to successfully get to harvest, but it will make things a lot easier for you. 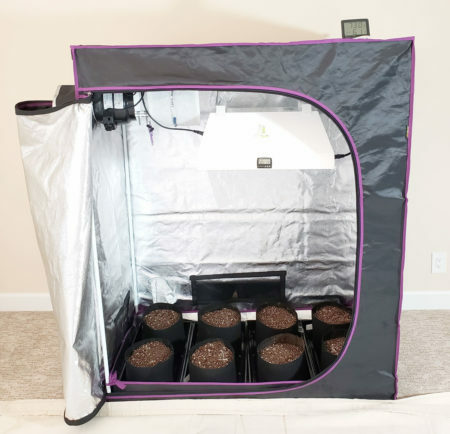 Grow tents are also typically cheaper than trying to recreate the same environment at home, especially for someone growing just a handful of plants at a time. Even if you plan on growing in a closet, it’s often easier to buy a grow tent and just stick it in your closet than try to grow the plants in the open air. A 2’x4’x5′ grow tent is a tight fit, but it can support a 315 LEC grow light if you’re careful to pay attention to plant height. This is the size grow tent I use, as I developed this style during a time I had limited space to grow. I like how unobtrusive the grow tent looks (it’s easy to mistake it for a clothes wardrobe at first glance) and it doesn’t take up much space so I can stick it in the corner of a room. 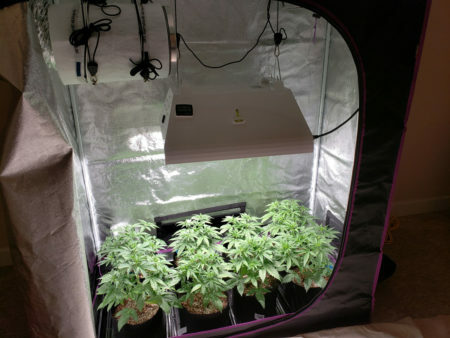 A 4’x4’x7′ grow tent will give you plenty of room, and that extra room is a joy to use with a 315 LEC grow light. A bigger tent will allow you to get bigger yields because you’ll be able to fit more plants around the edges. However, any bigger than this and the plants around the edges won’t receive much if any light from the LEC. That’s why this is the maximum size tent you should consider for this light. There are lots of amazing growing mediums, including soil, coco coir, and hydroponic setups. Each growing medium has its advantages and disadvantages. I love all styles of growing, but I think my personal favorite is coco coir. It’s the easiest to master, hardest to mess up. As long as you remember to give your plants water with nutrients, it’s almost impossible to kill them. Not only that, plants grow faster in coco than soil, and you are less likely to get bugs (many types of bugs need soil as part of their life cycle). Choosing the right cannabis nutrients can seem really complicated because there are dozens if not hundreds of choices. Nutrients can be as simple or as complicated as you want them to be, and that’s not even getting into the world of supplements. I personally love the General Hydroponics Flora trio plus their CaliMagic supplement. This combination will give your plants everything they need so they grow fast and produce high-quality, potent buds. Unlike a lot of other options, it doesn’t cost an arm and a leg. It’s perfect for growing in coco coir or hydroponics. I’ve also heard some growers use it in soil, but that’s not where it shines. Learn more about cannabis nutrients. Carbon filter (to scrub all smells from the air so you can’t smell the plants outside the tent) – This 6-inch Phresh Filter, 400 CFM, 6″ x 16″ version works great, especially when combined with the following exhaust fan. Learn more about carbon filters. Can Max 6″ Fan – An exhaust fan is necessary if you want the carbon filter to work, and it also vents out the heat from your tent. Learn more about venting heat. Rope Ratchets – These can be used to hang your grow light or carbon filter from inside the tent, and still be able to easily move it up and down without needing any strength. Your grow light usually comes with a set of rope ratchets, but it’s a great idea to get an extra set to hang the carbon filter. 24-Hour Timer (to put your grow lights on a timer so the plants get a day and night period on a schedule). 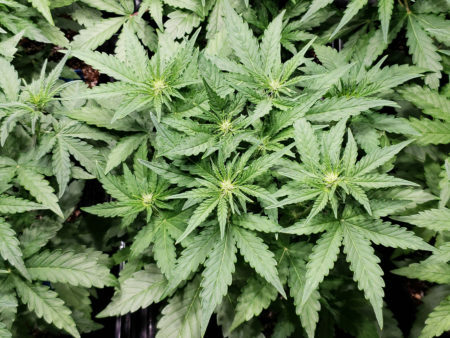 Why do cannabis plants need to be on a day/night schedule? 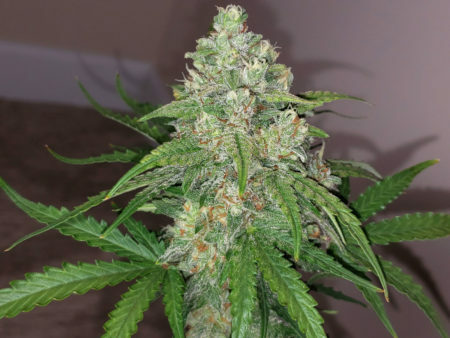 What about autoflowering light schedules? It’s always a good idea to make sure everything is completely set up before you do anything with your seeds. Otherwise, it seems like you always realize you missed something at the last minute! Learn how to set up a grow tent. 2.) Water coco with plain water with 1 tsp/gallon of CaliMagic. You’re “charging” the coco with extra Calcium and Magnesium while making sure the coco is saturated all the way through (it can be hard to get it evenly wet if it starts out too dry). Set up your containers with coco and water them thoroughly right before you germinate your seeds. That way the coco has some time to dry out a bit before you add the seedlings. This coco has been saturated and charged with extra Cal-Mag. Perfect! Now it’s time for germination. There are a million ways to germinate your seeds, but I personally like using Rapid Rooters. Learn more about germination here. 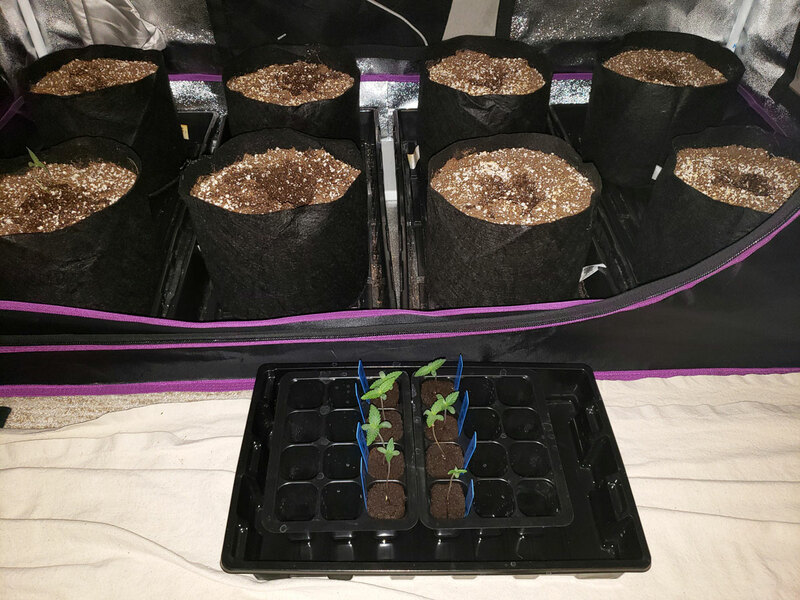 You can put seeds straight into Rapid Rooters in a tray and they will sprout. Make sure to keep the rooters moist but not wet or shiny looking. 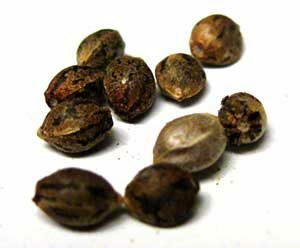 Seeds sprout faster and get better germination rates when it’s slightly warm (think springtime). Therefore, it can help to put your tray on a seedling heat mat (or some other slightly warm place like the top of an old refrigerator) while they’re germinating. Once the seedling leaves have fully opened up, it’s time to move them. Typically they should only need a few days after germination. 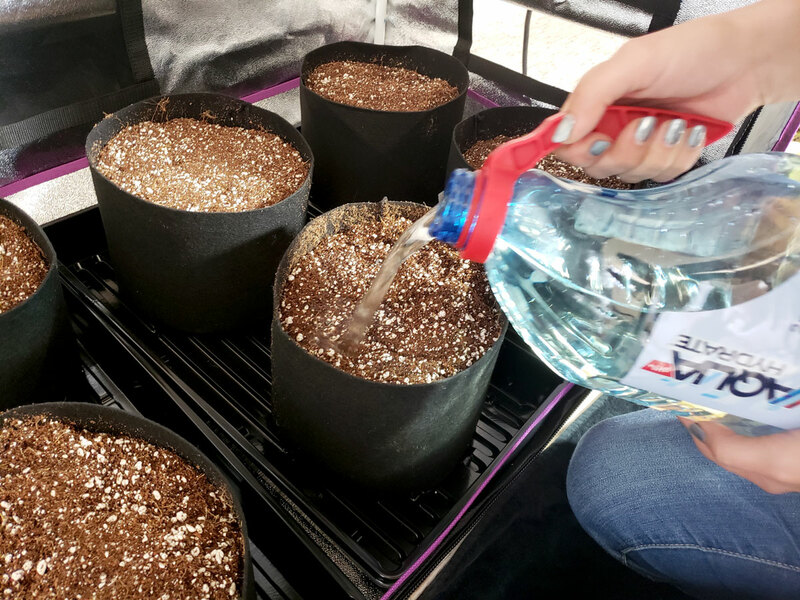 Make sure to water the plants immediately with seedling strength nutrients! In coco coir, you should be using nutrients from the very first watering, because coco is inert and doesn’t naturally contain any nutrients. When it comes to watering, add nutrients to your water at half the recommended strength and give nutrient water every time. Make sure to PH the water in the range of 5.5-6.5 pH. If you notice that the leaves have hooked tips or are getting dark green, or you see tip burn (nutrient burn) it means you should either give them plain water during your next feeding, or lower the overall level of nutrients. At first, plants won’t be drinking much, and you should only give a little water at a time. If they’re taking longer than 3 days to dry out, consider giving less water at a time until they are drinking more. Once they start getting bigger, give them enough water to get 10-20% extra runoff water out the bottom and remove the runoff immediately. Ultimately you’d like to be watering them every 1-2 days for the fastest growth. 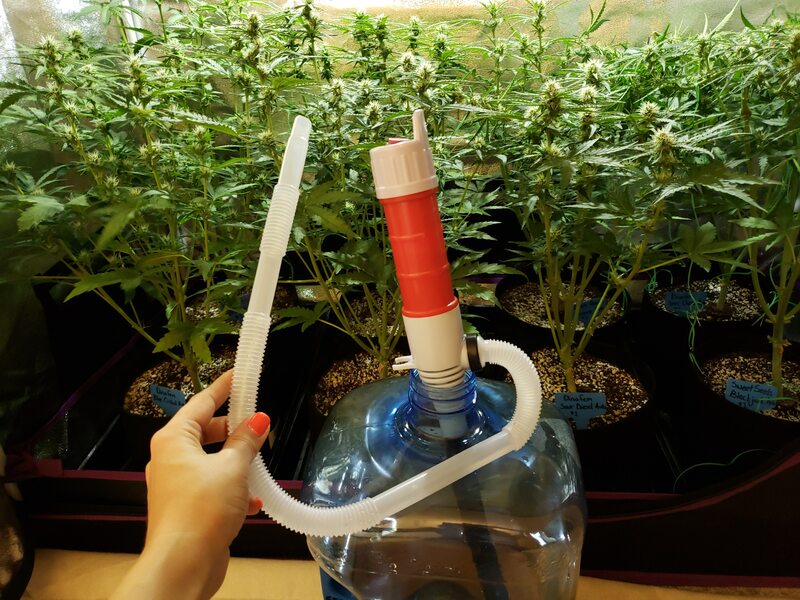 A battery-operated water transfer pump is a really easy way to water your cannabis plants, even the ones in the back! 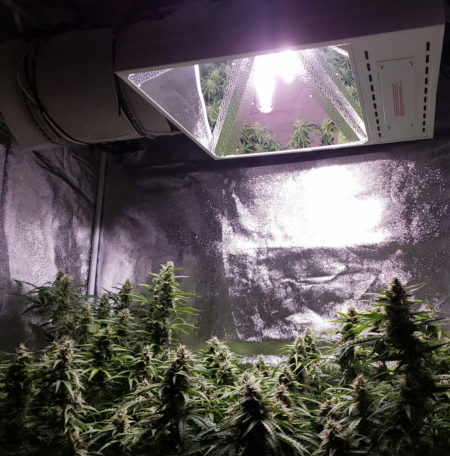 If you’re growing with standard (photoperiod) seeds, then you need to change your grow light to be on a 12/12 light schedule when your plants reach about half the final desired height. This will “tell” them to start flowering. Plants may double in size after the switch, so be careful not to wait too long! 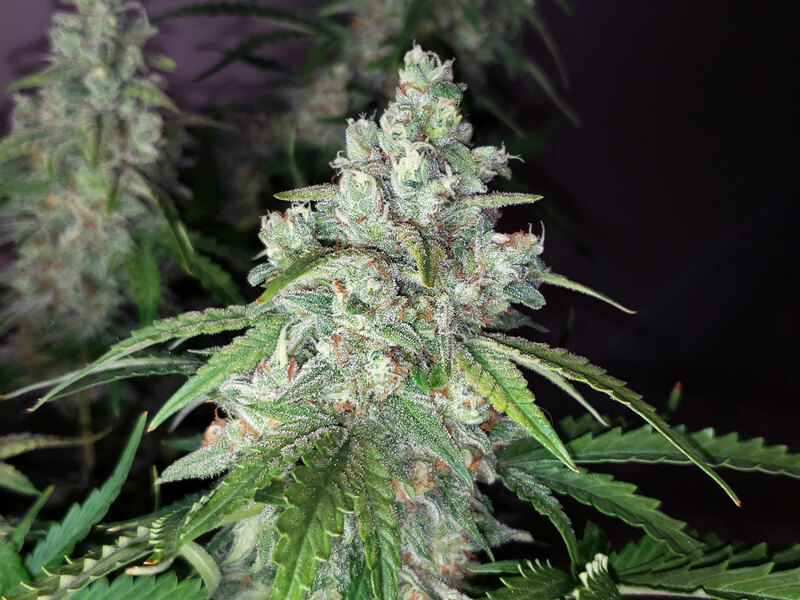 If growing with auto-flowering strains, you don’t need to worry about this part as your plants will automatically start flowering when they’re 3-4 weeks old. 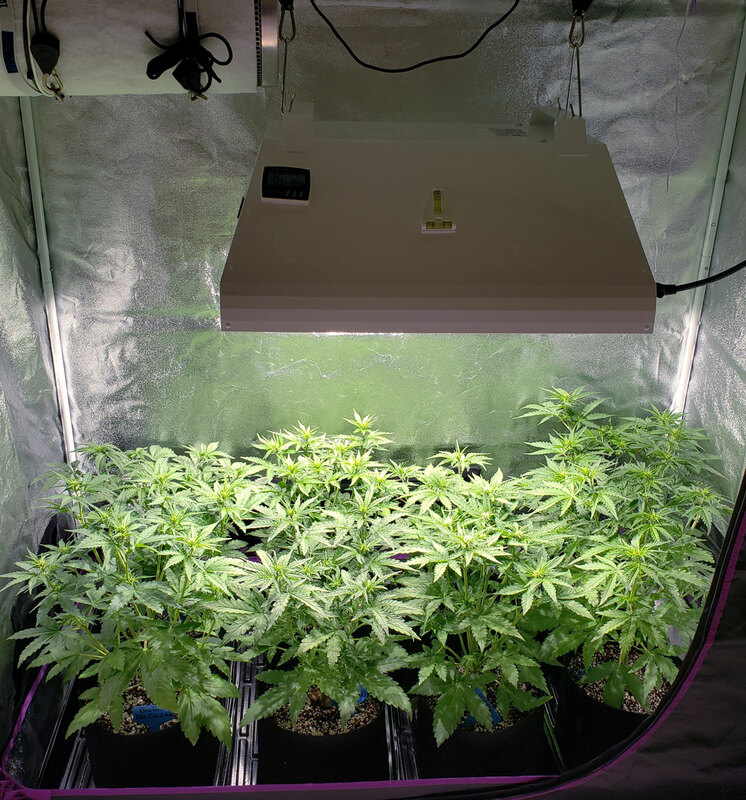 When considering plant height, don’t forget that you must keep your 315 LEC grow light 18-20″ above the tops of your plants. 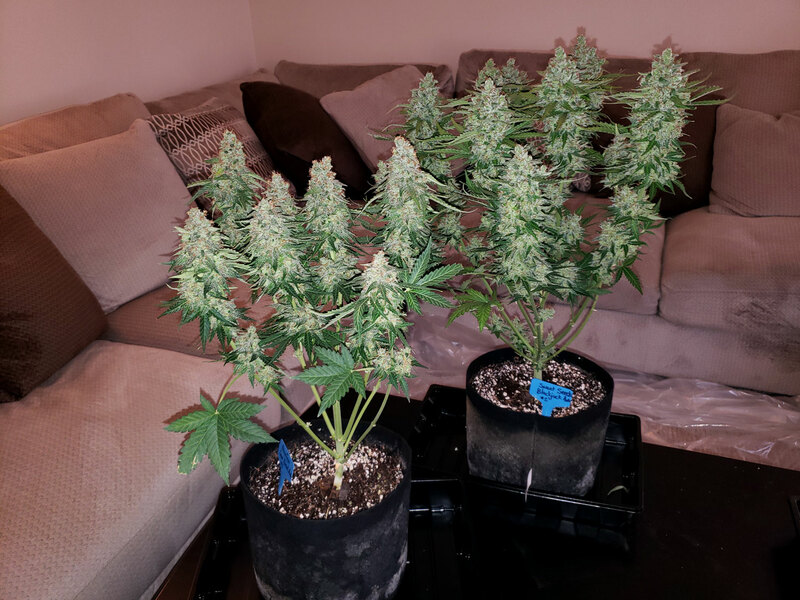 Unless you’re growing autoflowering plants, you want to switch to a 12/12 light schedule when your plants have reached about half the final desired height. That’s because plants about double in height (on average) after the switch to the flowering stage. If you have a plant that’s been growing very “stretchy” and tall, it may even triple in height! Learn more about the flowering stretch. Continue to water plants every 1-3 days as buds develop. 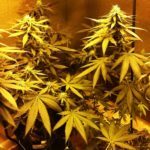 Use this page to determine the best time to harvest for the type of effects you’re looking for (in-your-head effects vs body high). 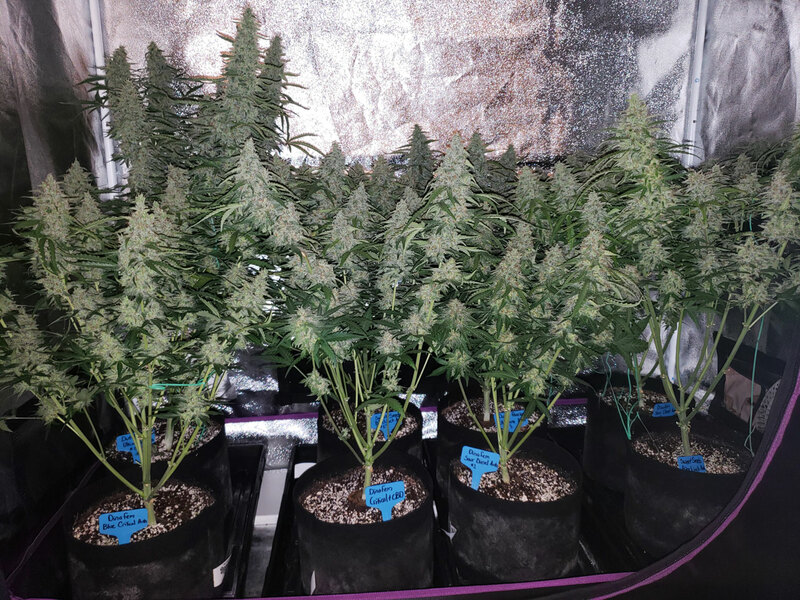 Here are 8 autoflowering plants grown from seed under a 315 LEC Grow Light. 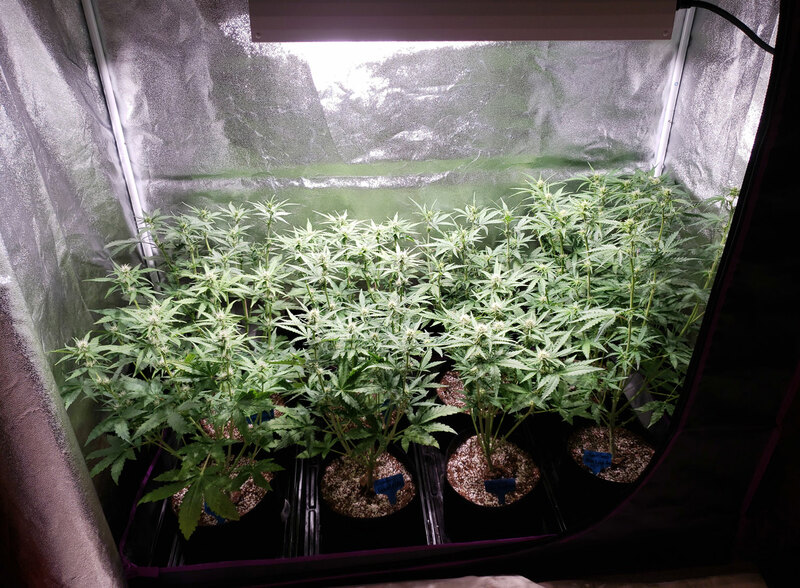 There were 8 plants and it’s hard to get an idea of what they all look like when they’re stuffed in the tent. I pulled out the front row so you could see all eight plants. 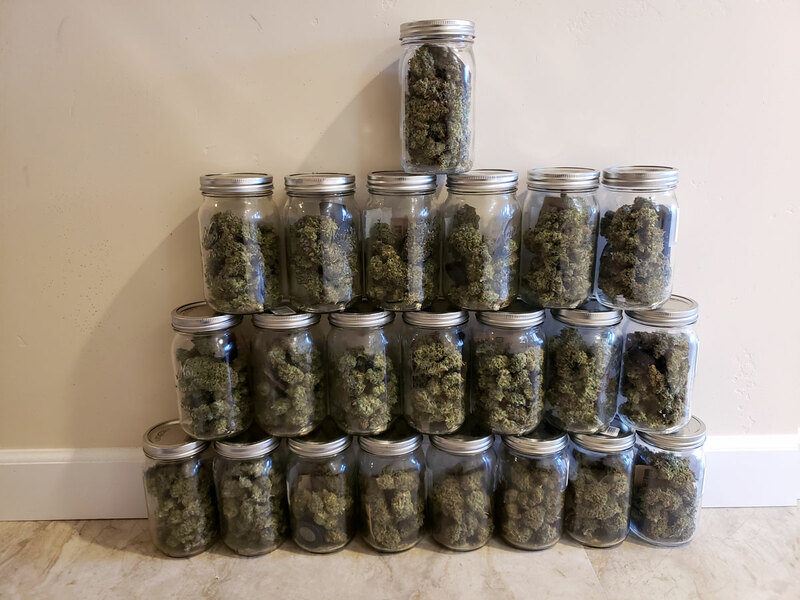 These were all grown under a single 315 LEC grow light in a 2’x4’x5′ grow tent. 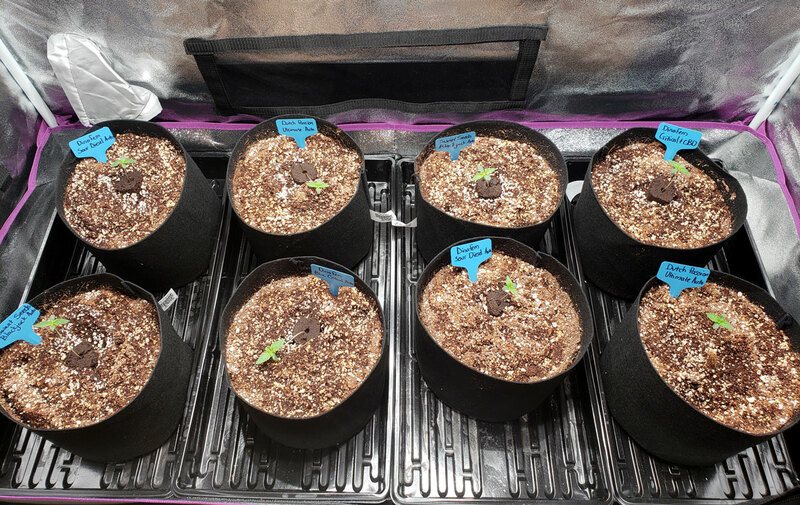 In this video, they are only 65 days old (from when they were first germinated) and about a week from harvest! Learn how to dry and cure your buds like a pro! This will make a huge difference in the final quality, smell, and potency of your buds.